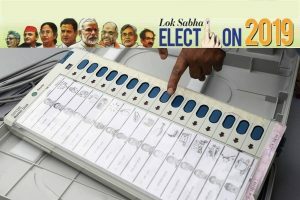 In his second rally on Sunday, Prime Minister Narendra Modi continued his attack on the opposition parties who are trying to cobble up a mahagathbandhan (grand alliance) to take on the Bharatiya Janata Party (BJP) in the upcoming Lok Sabha elections. 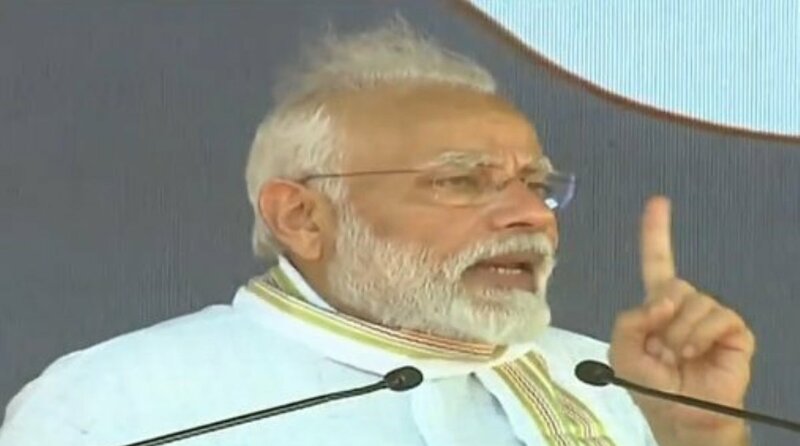 Addressing a gathering in Tamil Nadu’s Tiruppur, the PM said that some people are very unhappy with the “good work” done by the NDA government and that their “unhappiness has turned into desperation and abuse for Modi”. “Opposition’s political culture of abusing Modi may give them some space in television but the elections are fought on one’s vision for the nation, not slander and attack,” the PM said amid loud cheers in his support. Recalling the vision of K Kamaraj, a Congress stalwart who was the third Chief Minister of Madras State (before it was renamed Tamil Nadu), PM Modi said that the Bharat Ratna honouree wanted a government in power which has zero tolerance towards corruption. Hailing the land of Tiruppur as the land of bravery, PM Modi recalled the sacrifices of Tiruppur Kumaran and Dheeran Chinnamalai. In the same breath, he criticised the Congress, which has been trying to corner the government over the Rafale deal, for “never leaving an opportunity to belittle our army”. “Those who got the opportunity to rule the nation for years did not bother about our Defence sector. For them it was just a sector of deals and supporting their own friends,” he said adding that it was the NDA government which fulfilled the demand of One Rank One Pension. “We dream of an India that is self-sufficient in defence production and where our forces have all the possible support they require in keeping our nation safe,” he said. Without naming P Chidambaram, the PM took a jibe at the former Finance Minister during the UPA regime calling him a “‘The Recounting Minister’ – a very wise Minister from Tamil Nadu who thinks that he is the most knowledgeable man in this world”. Chidambaram had asked why middle class complained about price rise when they could buy ice cream and mineral water bottle. Slamming the opposition for being good at spreading panic, the PM said that time and again they have tried to mislead the farmers, poor and youngsters of the nation. “For the first time in India’s history, a govt has spoken about doubling of farmer’s income rather than giving them loan waivers as promised by Opposition as a part of their election propaganda,” he said. Challenging the opposition to cite one example when the BJP tried to alter the social justice system, the PM said that “it was the Third Front Government where both DMK and Congress removed reservation in promotions for SC and ST communities”. The PM, who was on his second visit to Tamil Nadu since 27 January, also highlighted the developmental schemes, policies and projects undertaken by his government including the Trichy airport inaugurated today as well as the Pradhan Mantri Shramyogi Jan Dhan Yojana which was announced in the recent Union Budget. Earlier today, the PM addressed a gathering in Gutur, Andhra Pradesh, where he launched a scathing attack on Andhra Pradesh Chief Minister N Chandrababu Naidu, the chief of Telugu Desam Party (TDP) which broke off its alliance with the NDA last year and is now positioning itself as a major player in the grand alliance. On the occasion, the PM also unveiled a series of new projects. He is scheduled to visit Karnataka’s Dharwad later today on the last leg of his one-day tour.